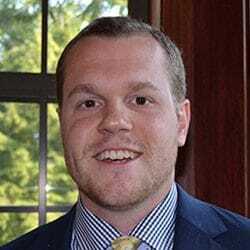 Caleb Fuller is an assistant professor of economics at Grove City College and a faculty affiliate at George Mason University Law School’s Program on Economics and Privacy. His research interests include the political economy of entrepreneurship, public policy, and the economics of privacy. His papers have appeared in Public Choice, The Quarterly Review of Economics and Finance, International Review of Law and Economics, European Journal of Law and Economics, Journal of Business Venturing Insights, The Review of Austrian Economics and others.